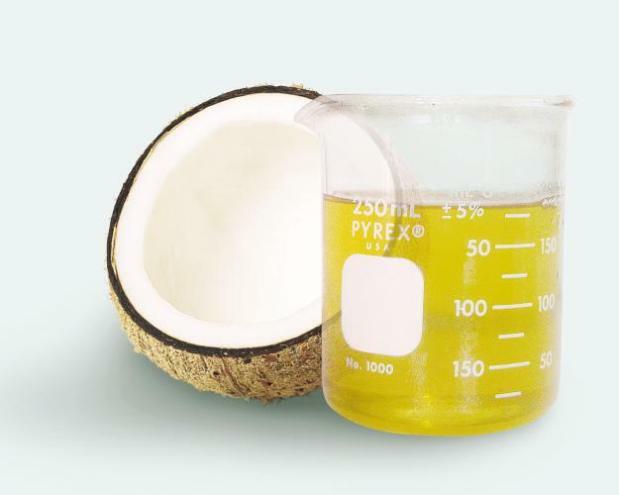 Many of the forum threads that I have read have recommended coconut oil as a moisturiser for dry and eczema prone skin. I have used it on my skin in the past and liked it. It came in a little white pot from Superdrug and was in solid form but when you scoop a bit out it melts to a liquid in your hands instantly. I went back to Superdrug to try and get more but could not find it anywhere. I looked in two stores, in the skin section and the hair section (you can also use coconut oil as a conditioner) but to no avail. Near where I work in Manchester there are a lot of hair shops, selling wigs, hair extensions and a lot of hair products aimed at afro hair. The first one I tried didn't have any coconut oil and told me to try Holland and Barratt's but I knew already that they didn't have any as there wasn't any in the shop when I bought the almond oil. However the next shop I tried did have some. This time it was in a bottle. Although it said 100% pure coconut oil on the front, on the back it had been let down with a little almond oil so that it was a liquid rather than a solid. As soon as I got home I applied a thin film all over after taking a cool shower. It went on easily (no rubbing in like cream or ointment) and felt nice to apply but then felt a little irritated. It's thicker than the almond oil; slightly viscous and clear/ cloudy white. My skin stayed very red in the bad areas and after waking up the next morning it wasn't any better. I think I'm going to go back to using nothing or using the Diprobase ointment. UPDATE: read my more recent post on organic virgin coconut oil - it's a whole different kettle of coconuts. Well, i just striked it off my To Be Tried list. Oh can I say you should really try using the stuff from coconoil.com it's 100% pure virgin coconut oil, apparently other variations can irritate rather than help.